﻿ Global Warming In Runescape??? Hopefully by now you fellow Runescape players know that here at 2007RunescapeGold.com, we are all about offering you the best deals and the safest place to buy Runescape Gold online. Also, we love to just talk to you about random things in the game and random is the best way to describe today's blog post topic. Is global warming in Runescape a thing? We got the idea from this where all the greatest modern ideas come, YouTube. It was mentioned that back in 2008 there was mention of global warming in Runescape during the Perils Of The Mountain Quest, which is actually a huge part of the quest and it is pretty heavy going and there is global warming that happens during the quest. Some people say that it is pretty political. Even now the area where this quest took place is now underwater so clearly, global warming has impacted the world of Runescape. Some people have said that Jagex is big on educating people about global warming and that maybe by putting it in the game they are spreading the word. We find this very interesting and clearly, Jagex has been inspired by the talk of global warming in the media and decided to put a quest in the game. The big question though is this going to be something that happens again? We would be surprised if it was and surely as this quest was the better part of ten years old. If it was going to happen it would have happened by now. If you are interested in this very weird topic then check out a Runescape player and YouTuber called, Colonello. 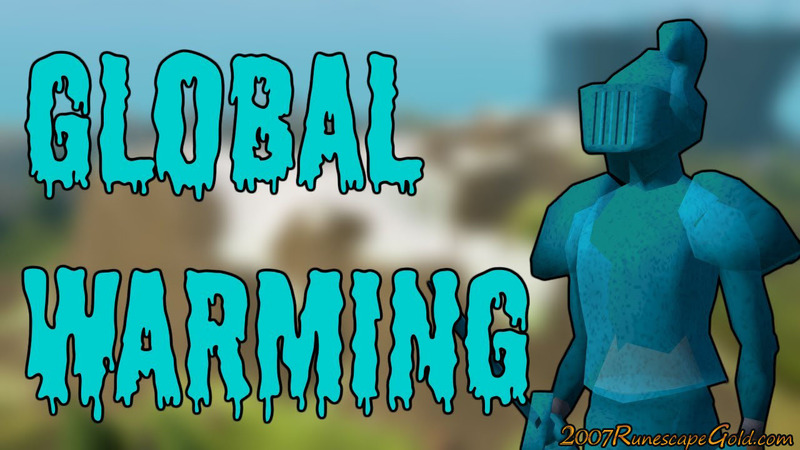 Let us know what your thoughts are on global warming in Runescape and if you think politics have any place in video games!